A key element to Santa Muerte’s rise on the global stage has been her tradition’s distinct lack of central coordination. The power of her skeletal iconography to emerge among devotees of all walks of life has allowed her to move from the backwoods to the barrios of Mexico and from the streets to the highest levels of power. She has captured the hearts of millions around the world, and she’s done it without a propaganda office or a building fund – but all of that is starting to change with the global growth of Santa Muerte Internacional, the Tultitlan-based organization, on the gritty outskirts of Mexico City, led by pioneering devotee Enriqueta Vargas. The death of Vargas’ son, Jonathan (aka Comandante Pantera), launched her on the path to become one of the leading figures in the centralization of Santa Muerte’s devotional tradition – with a prison outreach program, weekly prayer services, exorcisms and a global network of shrines that have come under the organizational label of SMI. 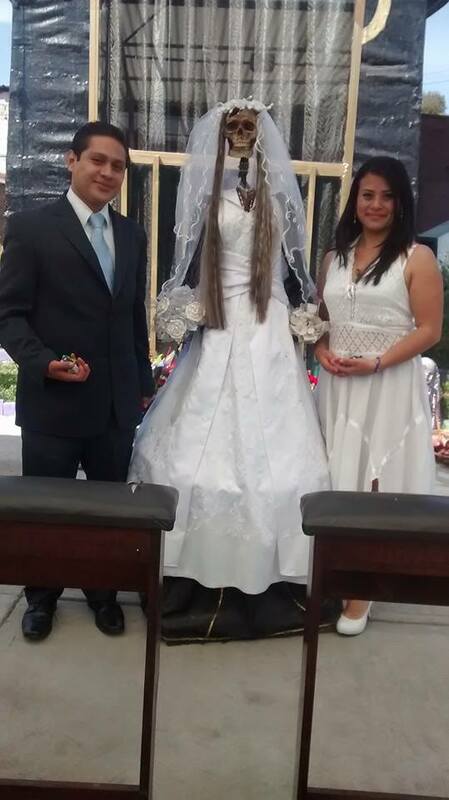 Other pioneering devotees like Arely Vasquez in Queens, New York, and Michael Caleigh in the United Kingdom have joined SMI, helping it to become an important driver in the development of Santa Muerte’s public tradition. This week it has been announced that two more devotional leaders have joined SMI – Alicia Garcia in Atlanta, Georgia, and Selena Hernandez in Dallas, Texas – making SMI the only public organization associated with the skeleton saint to now have a presence in multiple countries around the world. In contrast to the devotional norms at Enriqueta Romero’s historic shrine in Teptio, which are more anchored in folk Catholicism, SMI offers devotees a range of ritual services. Weddings, baptisms and now even funeral services are conducted on regular basis at the Tultitlan temple and at many of its affiliates. 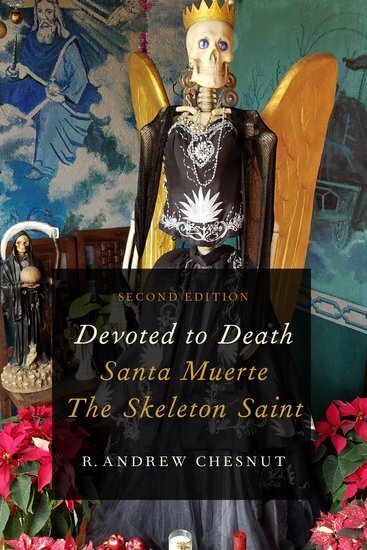 Resentful of both Catholic and Protestant denunciations of her mushrooming religious movement, Enriqueta Vargas stresses Santa Muerte’s indigenous roots, with many depictions of the skeleton saint as Mictecacihuatl, the Aztec goddess of the underworld. Another important innovation at SMI is the “canonization” of Comandante Pantera (See The First Saint of Santa Muerte,) the founder of the Tultitlan temple as the first auxiliary saint to Santa Muerte. Some devotees ask the slain devotional pioneer to intercede with the Bony Lady on their behalf. We will continue track this fascinating new development in the fastest growing new religious movement in the Western Hemisphere.